This project is a collaboration with my co-principal investigators Margaret Estapa (Skidmore College) and Melissa Omand (University of Rhode Island) and will fund work during a month-long research cruise later this winter. 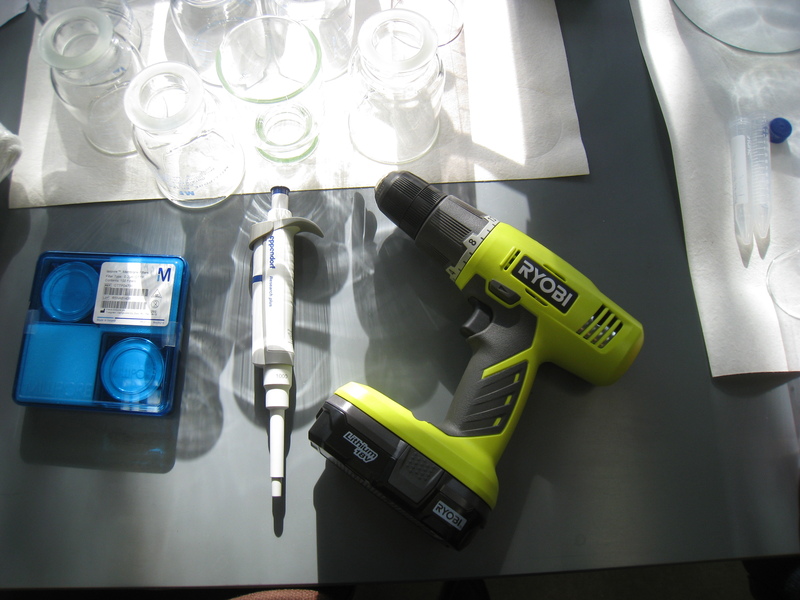 Like any good oceanographer, I immediately celebrated by purchasing a drill and a micropippetor. Carbon is fixed into organic matter by phytoplankton growing in the surface ocean, and is naturally sequestered in the ocean interior when particles and organisms sink: a process called the “biological pump”. Because of its recognized influence on the global carbon cycle, ocean scientists have studied the biological pump for decades. However, we still do not have a sufficient understanding of the underlying processes to accurately quantify and predict carbon cycling. Much of this uncertainty stems from an inability to directly link specific plankton in the surface ocean with the types of particles sinking out of the surface ocean. To address this missing link in biological pump research, this work will directly observe how plankton are transported out of the surface ocean using novel, particle-specific observational approaches embedded within an interdisciplinary field program that will finely resolve upper ocean plankton groups and the resulting amount of sinking carbon across space and in time. The genetic identity of organisms within different types of sinking particles will be determined by sequencing the genetic contents of individually collected particles. This new application of a molecular method will definitively link surface plankton with sinking particles at 5 locations across the Pacific Ocean. This work has the potential to transform our understanding of the biological pump by identifying previously unknown links between surface ecosystems and sinking carbon particles. Because this work is embedded within an interdisciplinary field program, including biogeochemical modelers and remote sensing scientists, these data will feed directly into new models of the biological pump, improving our ability to quantify and predict carbon uptake by the ocean. This project was funded by the National Science Foundation Biological Oceanography program through their EAGER funding opportunity (Early-concept Grants for Exploratory Research). We will be sailing on the Schmidt Ocean Institute’s vessel, the R/V Falkor, from Hawaii to Seattle. Along the way we will stop and deploy a variety of sediment traps and sensors to measure and collect sinking particles. This cruise is lead by chief scientist Ivona Cetinic (NASA) and will include an exciting interdisciplinary team of scientists including optical oceanographers, remote sensing scientists, and physical- chemical- and biological- oceanographers. The cruise has a website and is named the “Sea to Sky” cruise. If you want to check out the ship, of course the Schmidt Ocean Institute has a google-street-view-like virtual tour online. 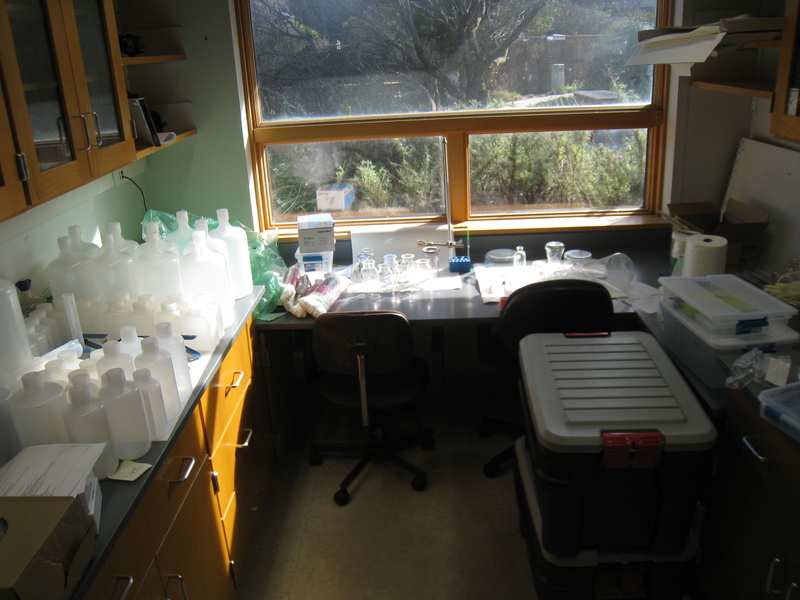 Here is the lab space we’ll be working in. I am super excited about this project! Stay tuned for more updates as it progresses.